Social Work researcher Dr Milena Heinsch is working to improve the quality of life for children with functional gastrointestinal disorders through cross-disciplinary research with the John Hunter Children’s Hospital. Milena’s research seeks to address the social and emotional consequences of functional gastrointestinal disorders (FGIDs) for children and families. Milena explains that, while FGIDs are amongst the most frequently occurring pain syndromes in childhood, there remain significant barriers to the diagnosis and treatment of these conditions, which can lead to long-term pain and psychological distress for children. 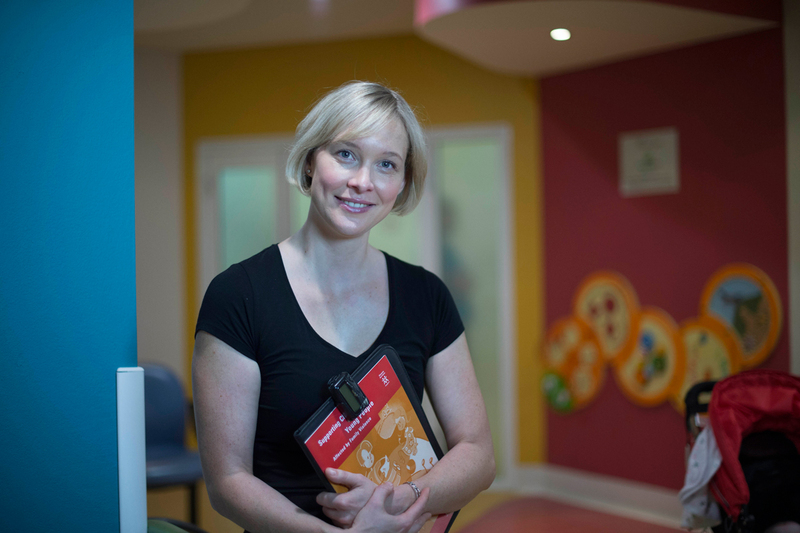 Milena’s latest research, conducted with Dr Scott Nightingale at the John Hunter Children’s Hospital, sought to explore the knowledge, practice and attitudes of paediatricians to FGIDs in children. “We surveyed paediatricians in Australia who commonly diagnose children with FGID to explore their understanding of these conditions and existing strategies for diagnosis and treatment,” Milena explained. “Our preliminary investigations found that respondents often felt unsure how to diagnose and treat some FGIDs. Many were not familiar with the accepted diagnostic criteria for these conditions, and therefore conducted lengthy and sometimes unnecessary testing to exclude alternative causes”. Pointing to the longer-term emotional and physical consequences of a lack of treatment, Milena, together with Dr Nightingale, is now seeking to create and test an internet-based therapeutic intervention, which children with FGID and their families can use in their homes to complement and/or replace ongoing therapies. This is the first Australian study to examine the impact of an internet-based therapeutic intervention on quality of life, pain and functional outcomes for young people with FGID. Milena is eager to see this project come to fruition and has applied for further funding in 2016 from the Hunter Medical Research Institute, with outcomes to be released in early November. During her PhD candidature, Milena was employed as the Paediatric Gastroenterology Social Worker at the JHCH. Guided by a passion for forging stronger links between research and practice, she undertook a PhD in 2010: A three-year study to explore researchers’ perceptions of moving research into practice. “I wanted to know whether, and how, collaboration between researchers and practitioners facilitates the uptake of research in practice. Ultimately, I discovered that research use is a socially engaged and relational process, and identified four forms of collaboration which have the potential to enhance this process," Milena explained. After receiving her doctorate in 2013, Milena sought to maintain her relationships with health and medical professionals, and is currently collaborating on a number of research projects with colleagues at the John Hunter Children’s Hospital, Sydney Children’s Hospital, Children’s Hospital Westmead and the Centre for Emotional Health, Macquarie University.